Linebacker is one of the most important positions in Tennessee’s 3-4 defensive scheme. Right now, the Vols only have one true linebacker committed to them in their 2019 recruiting class, though a couple of defensive ends they have committed could transition to outside linebacker once at UT. But Tennessee is still on the search for more linebackers, and they sent out an offer to a highly-rated inside linebacker on Sunday. The Vols sent out an offer to Daniel Heimuli, a four-star inside linebacker in Menlo Park, California, on Sunday. Heimuli plays for Menlo-Atherton and added the Vols’ offer to a large list of offers he already has. According to the 247Sports Composite rankings, Heimuli is the No. 239 overall player in the 2019 class and is rated as the 14th-best inside linebacker in the class by those rankings as well. He now holds offers from over two dozen schools, including Alabama, Washington, Oregon, USC, LSU, Texas, Notre Dame, and others. 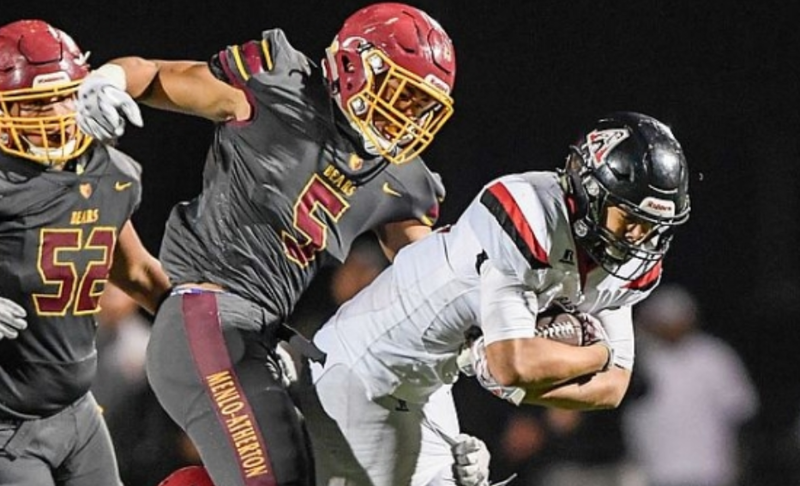 Heimuli released a list of his top eight schools back in June, and that list included Alabama, Washington, UCLA, TCU, Ole Miss, Oregon, Utah, and Nebraska. But that was back in mid-June, so there’s a good chance his list has been altered since he’s picked up offers from both Texas and Tennessee in the meantime. A look at Heimuli’s film shows off his physicality and exceptional vision. He’s a violent tackler who isn’t afraid to throw his weight around against running backs, quarterbacks, tight ends, and wide receivers. He has a good burst and can run sideline to sideline fairly well. Heimuli wraps up well on tackles and has great awareness, and he shows off his clear vision into the backfield and ability to read and interpret plays on multiple occasions. He’s a very natural player at linebacker and plays with a “controlled chaos” on the field. In five recorded games so far this season, Heimuli has 35 tackles, seven tackles for loss, three sacks, and a rushing touchdown according to MaxPreps. Heimuli has played extensively since his sophomore season, and in 24 recorded games for Menlo-Atherton, Heimuli has totaled 210 tackles, 38.5 tackles for loss, 12.5 sacks, 19 quarterback hurries, and a forced fumble. Tennessee needs linebackers for the future, and right now the only projected inside linebacker they have committed is a junior college player. Four-star JUCO inside linebacker Lakia Henry is the Vols’ only inside linebacker committed in the 2019 class right now, and he’s the only “true” linebacker committed to Tennessee in the class as well.